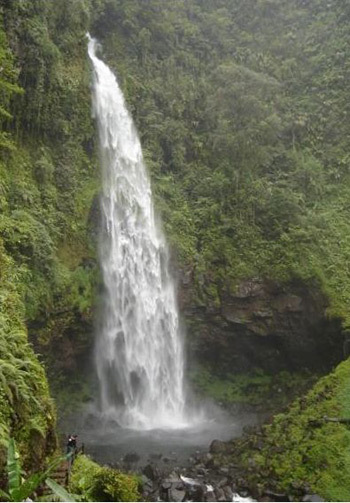 Cipendok waterfall is located at a plateau in Banyumas region and officially made open for public in February 27, 1986 by the Banyumas Regent, R.G Roydjito. Go north of Cipendok, lies the largest mountain forest in Java. To be able to reach the bottom of Cipendok Waterfall we must walk some steps down. In the stream at the feet of the waterfall, there is a group of black, monstrous stones soaked by the heavy water. Cipendok Waterfall is a perfect site for those who seek solace or quiet surrounding for meditation.